VSS Writer Service is an addition to Windows Volume Shadow Copying Service (VSS) provided by an Oracle API, to allow access to open Oracle databases. Having this service running is a crucial prerequisite for making a consistent and quick hot Oracle backup. What is Oracle VSS Writer Service? To give a bit more precise definition, VSS Writer is a component of Oracle DBMS software based on Windows VSS and aimed specifically for making Oracle data exchange with opened databases. This service inherits all principal features of Windows VSS Writer services, adding some Oracle feats to it. Handy Backup utilizes the dedicated Oracle VSS instead of basic Windows VSS in its Oracle plug-in. As Oracle backup software, Handy Backup provides a full access to the API of this particular DBMS, including Oracle VSS Writer service! How the Oracle VSS Writer Works? It is quite simple; Oracle starts the VSS Writer service and then uses it every time for accessing "locked" (e.g. 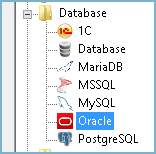 opened) databases. These operations are fully automated and completely safe, allowing avoiding any inconsistencies in the resulting dump. Using Oracle VSS is like making any other volume shadow copy backup; Handy Backup automatically creates a hot backup of Oracle database. To stop the service for "cold" backup, use stopping and restarting batch files as pre- and post-actions on the Step 7 of a backup task! How to Use VSS Writer Oracle Properly? To use the Oracle VSS Writer service with Handy Backup, you must have it running on your Oracle server (and, of course, it means that you must have enough user rights to run it). If you stop the VSS Writer for some reason manually, please make sure that you are restarting it before making a "hot" backup!